From the same team that brought us Bella Maniera, Mr. & Mr. are back with us once again to share some of their other projects that assimilate a diverse palette of materiality, technique, craftsmanship and language. Instead of creating a concept and then mixing it with technicality Mr. & Mr. embark on their process through poetry and encounters in order to pursue the ultimate purpose of each object. Choosing to construct their creations in a way similar to the surrealist exquisite corpse technique of assembling images, there is a fundamental element-event that is noted which also signifies the beginning of the history of the object. First and foremost, this preliminary step involves an observation of the world and then imagining how it could be otherwise. As such, the absurdity of a form, the naivety of a sentence, the grandiosity of a structure, the coarseness of a material or its fragility and the backwardness of a myth are all anchorage points in an object and what is intriguing about it. Other elements are eventually added which then arise quite often out of an encounter. This takes place as Mr. & Mr.’s mission is to erode concepts, not in defiance, but out of sheer pleasure. To achieve this, Alexis Lautier and Pierre Talagrand do everything possible to ensure the success of their business, such as taking the time to modify the creation and production process, collaborating with other artists and graphic designers, showing respect for manufacturers’ sensibility and most importantly, capitalising on errors. Today, we’re going to share several of their projects to give a sense of what Mr. & Mr. are doing and what we can expect from them in the years to come. 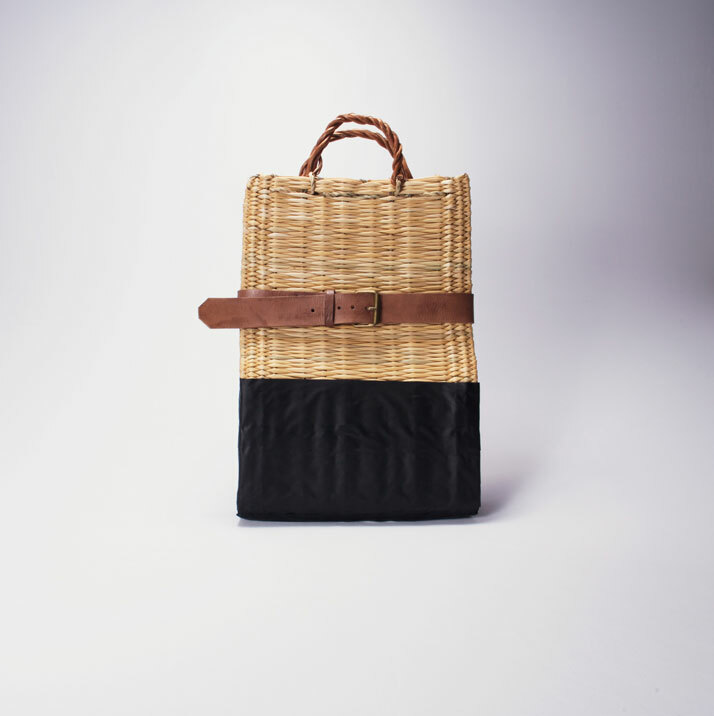 Antithèse bag collection, photo © Alexis Lautier / Mr. & Mr. 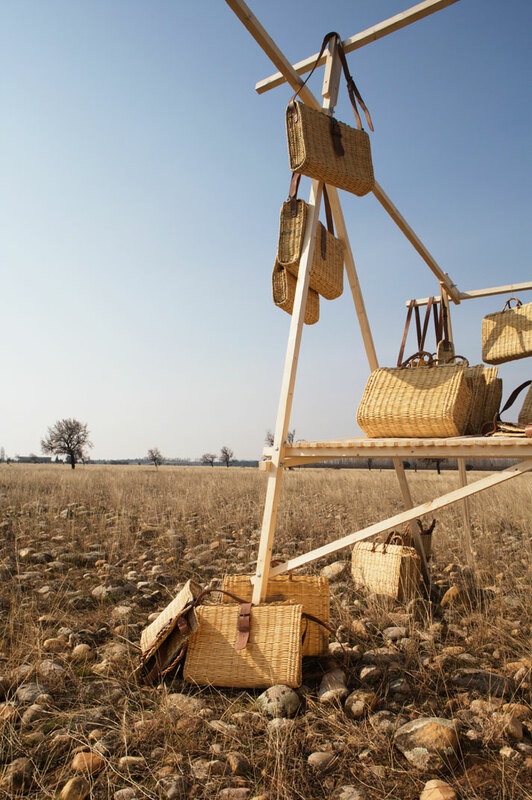 So starting with Mr. & Mr.’s collection of bags they have namedAntithèse, traditional craft skills are mixed with contemporarynomadic techniques to create two versions of a handbag line that are as traditional and nonconformist as they are natural and petrochemical. 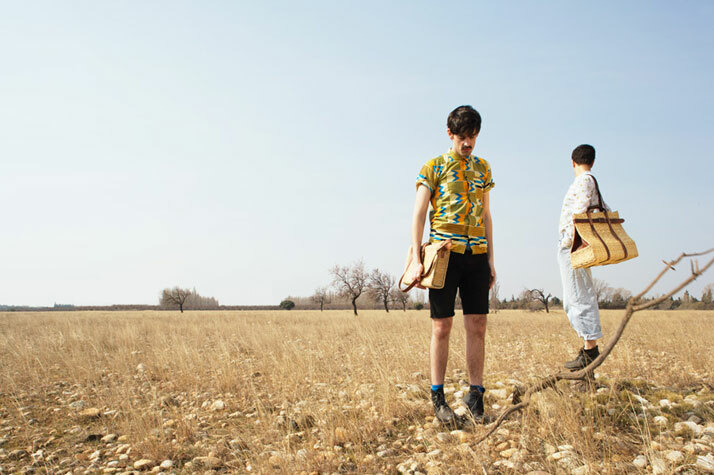 Working hand in hand with craftsmen from Marrakech, Mr. & Mr. have designed a stunning bag series made with a tight weave of palm tree leaves, giving it a natural feel which is strong enough for carrying your adventures on the go. This clash of North-African expertise with French vision gives the product a unique composition. CO-POT, photo © Alexis Lautier / Mr. & Mr.
Another project we are excited to share is their latest. 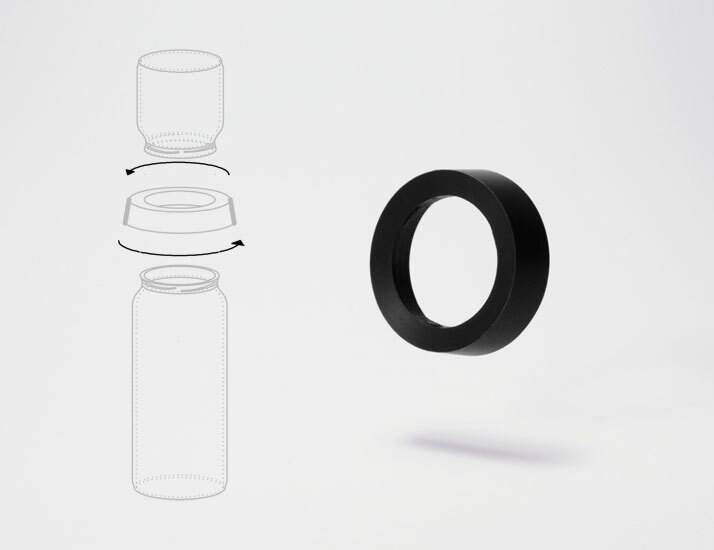 Co-Pots, an inventive gesture designed to simplify the connection of capsule shaped containers, extends their use thereby creating new uses for them. 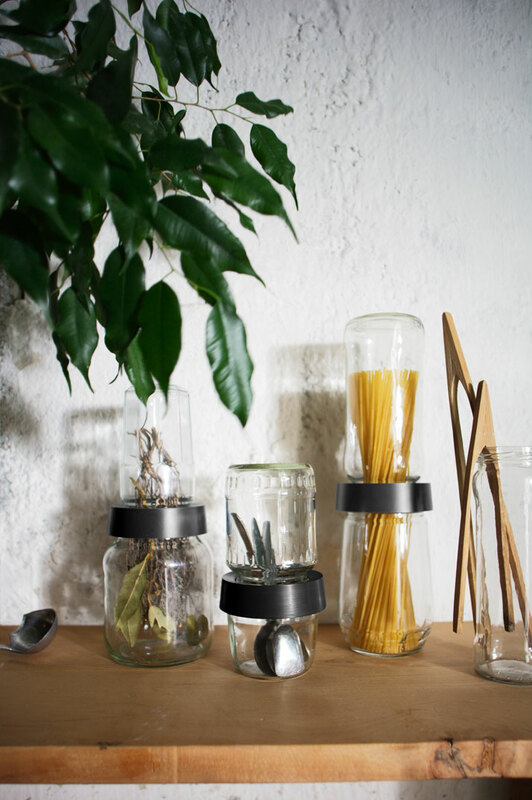 A simple mounting ring links the glass jars on each side and seals each opening to create new sculptural combinations for storing utensils, flowers, etc. Ground By is a series of stencils that bring interest, texture and visual appeal to any surface. The collection of stencils aims to create a new dialogue where we can rethink our spaces and create a new memory. 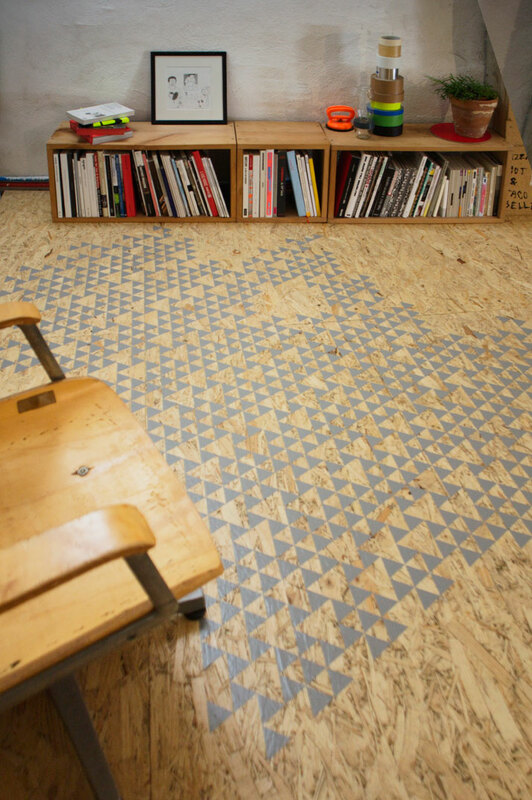 Parquet floors, concrete slabs or tiles can use these stencils to juxtapose any flooring surface into a new canvas that closes, highlights or defines an area. This DIY process gives users the opportunity to give a new identity to their spaces while preserving the layered history of the space. 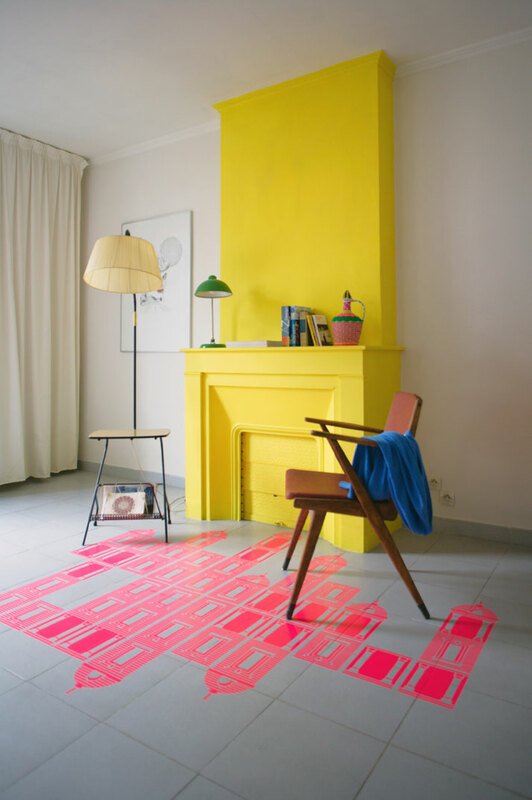 GROUND BY stencils designed by CeÌlia Picard for Mr. & Mr., photo © Alexis Lautier / Mr. & Mr. GROUND BY stencils designed by Aya Kakeda of Mr. & Mr., photo © Alexis Lautier / Mr. & Mr. 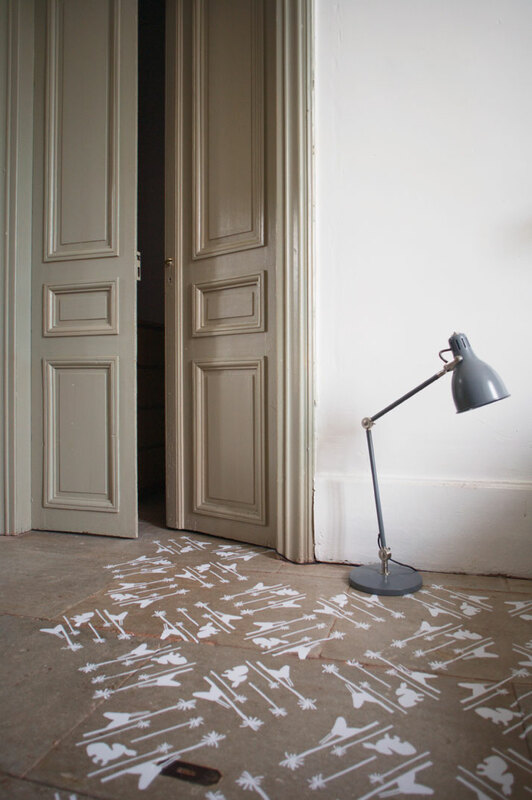 GROUND BY stencils designed by Marina Vandel for Mr. & Mr., photo © Alexis Lautier / Mr. & Mr. 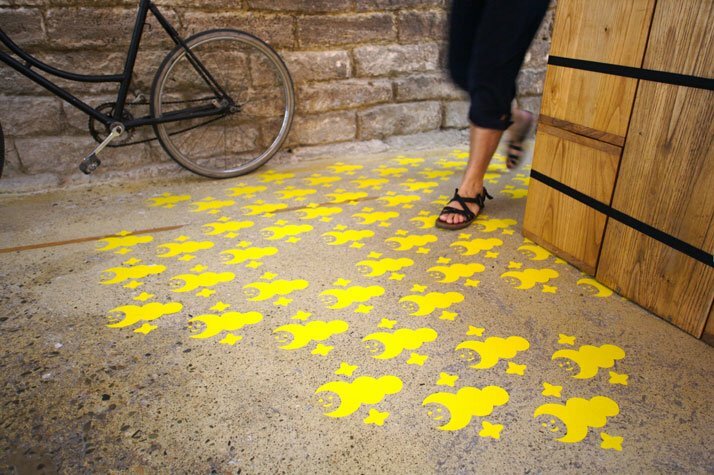 GROUND BY stencils designed by Pierre Talagrand of Mr. & Mr., photo © Alexis Lautier / Mr. & Mr.